How many of you are fans of DIY projects and channels like HGTV? (raises hand) Although I have yet to try a DIY project, I am a fan of watching shows on HGTV like Flea Market Flip. It simply amazes me how they take items and turn them into something completely new and unique. With this in mind, I was extremely excited when my former classmate, Sarah, invited me to a new store in Cameron Village called The Bassett Custom Shop. What is The Bassett Custom Shop? 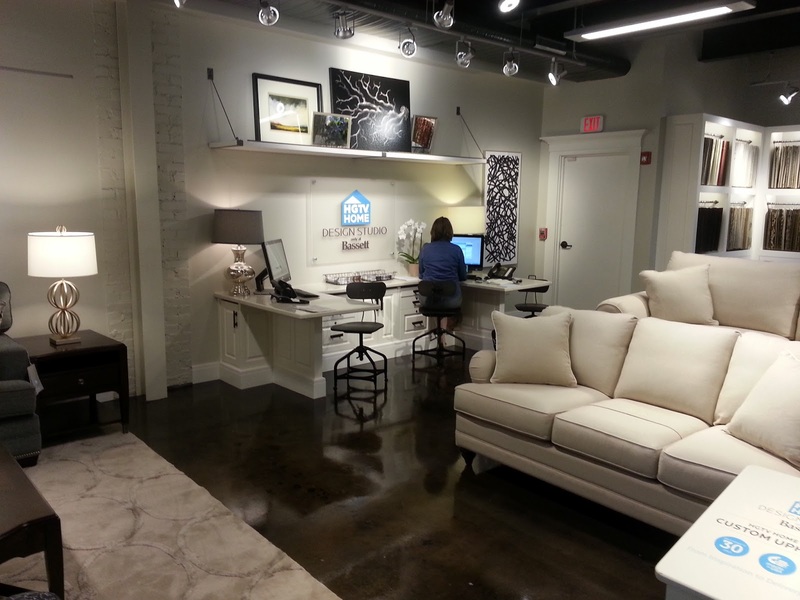 The Bassett Custom Shop is the place to experience the HGTV Home Makeover Experience. Customers can select frames, fabric, and details inside their HGTV Home Design Studio. 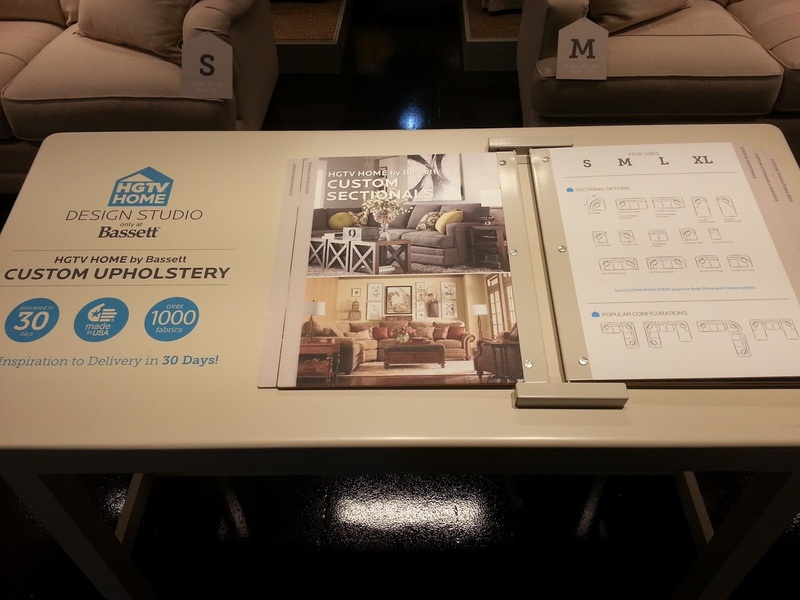 Bassett's design experts love to makeover their customers' rooms, complete with paint + accessory recommendations. 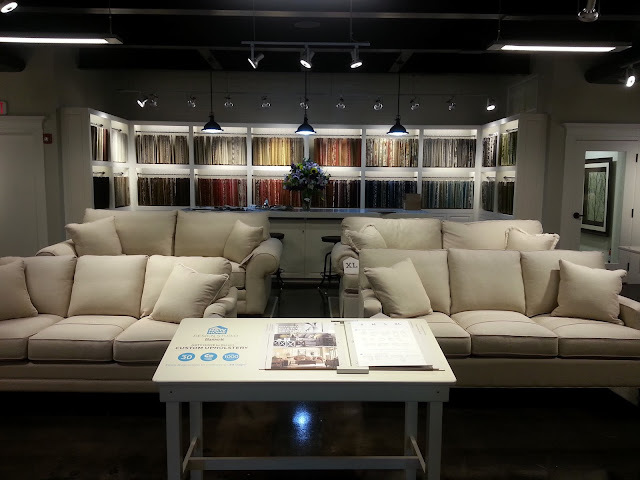 With 1000 fabrics to choose from, Bassett’s custom upholstery is available in sofas, sectionals, chairs, ottomans and upholstered beds. All custom upholstery is built 'made-to-order' in North Carolina, and delivered in less than 30 days. Are you amazed yet? Keep looking at the pictures! If you're in or near Raleigh, North Carolina, stop into The Bassett Custom Shop and ask for Sarah, Ashley, Raquel or Greg. They can help you design your next project! Not near The Bassett Custom Shop? Check out the available options on HGTV's website. Would you be interested in designing your next piece of furniture? 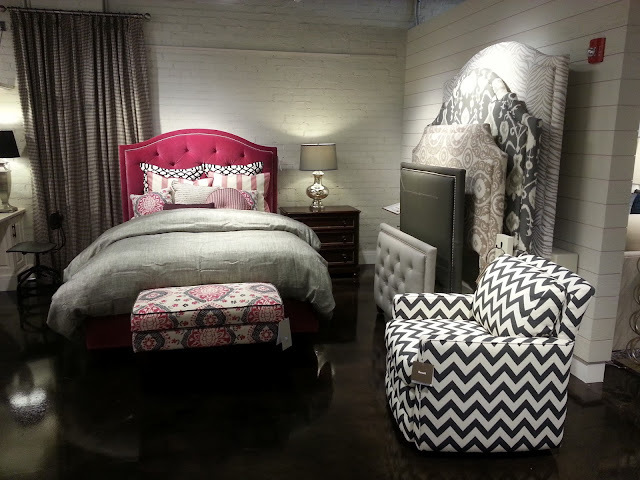 As an interior designer, I would love to visit this store and make some custom furnishings for my clients! 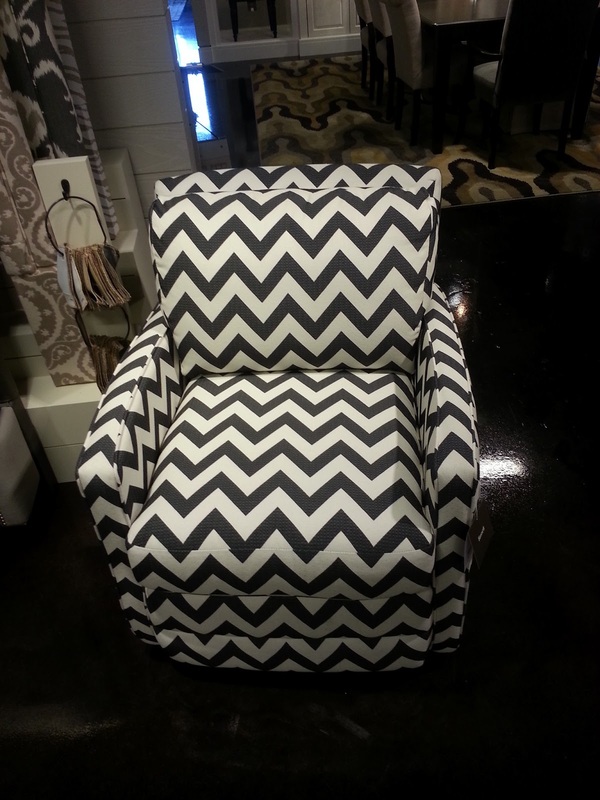 Great post and great chair! OMGEEE! The hubby and I are in the process of redecorating our condo and have talked about taking a trip up to High Point. Now, there's no need! Thanks for the post. I will definitely touch base with the crew! I love this store. When I use to to stay in Raleigh I came here all time with my aunt who does interior design. I kinda want to live there! Great looking stuff! I'd love a few custom pieces for my house. Having a showroom yet functional house is a must. Yes! I am moving in too. LOL Flea Market Flip has me going through all my stuff trying to see what I can paint & sell. OMG that is so cool! I see soo much that I love just looking at these pics...I would definitely go broke in there!